Fronheiser Pools > Blog > Pool Tips > How Are Swimming Pools Made? 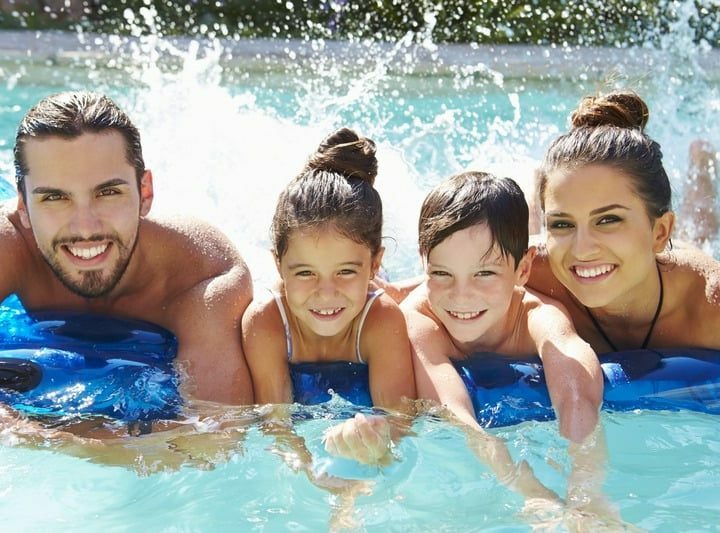 A swimming pool is a major investment, and they’re the place where you’ll be spending the better part of your summers for the foreseeable future. So, it’s only natural to have questions about how a pool is made. In fact, making a pool is quite an art form, and learning about how your pool will be assembled and installed is bound to make you appreciate your new backyard oasis even more. Understanding how gunite and vinyl-liner pools are created may also help you decide which type of swimming pool is right for you. The initial process for building a swimming pool is the same, regardless of the material that is used to fill it. A team of professionals will measure the space where you want the pool installed, remove all grass, and mark the dimensions of the pool with stakes. Often, an extra 3 feet is allowed on all sides to give the crew room to work. Don’t worry, this extra space is always back-filled at the end. Next, a bulldozer is used to dig a giant hole between the stakes. From there, the pool may be graded appropriately, especially if you want a shallow end and a deep end. After your back yard is prepared for a pool made of gunite, a mixture of sand and cement, the crew will install the plumbing. Then, they’ll proceed to install steel rebar to form a framework grid. With the framework ready to go, it’s time to fill in the rest of the pool. Gunite is applied using a sprayer unit, which will combine the gunite with water just before it sprays. This creates a concrete that is wet enough to be troweled into form. Once the concrete material is smooth and in place, your pool will need to sit for about a week. This allows the gunite to dry completely into the proper form. At this point, the surface will still be relatively rough–but that gets fixed in the next step. After the week is up, your crew will return to apply plaster, concrete paint, or fiberglass–it’s up to you. 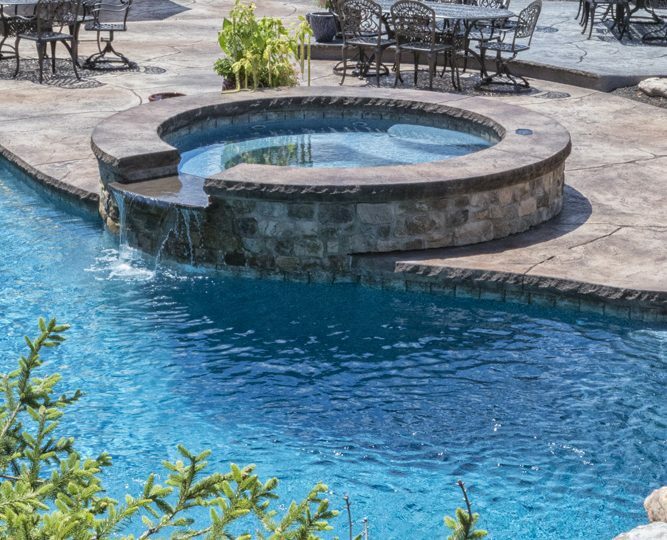 Gunite pools have a reputation for durability, and they are meant to be customized to any shape or size. 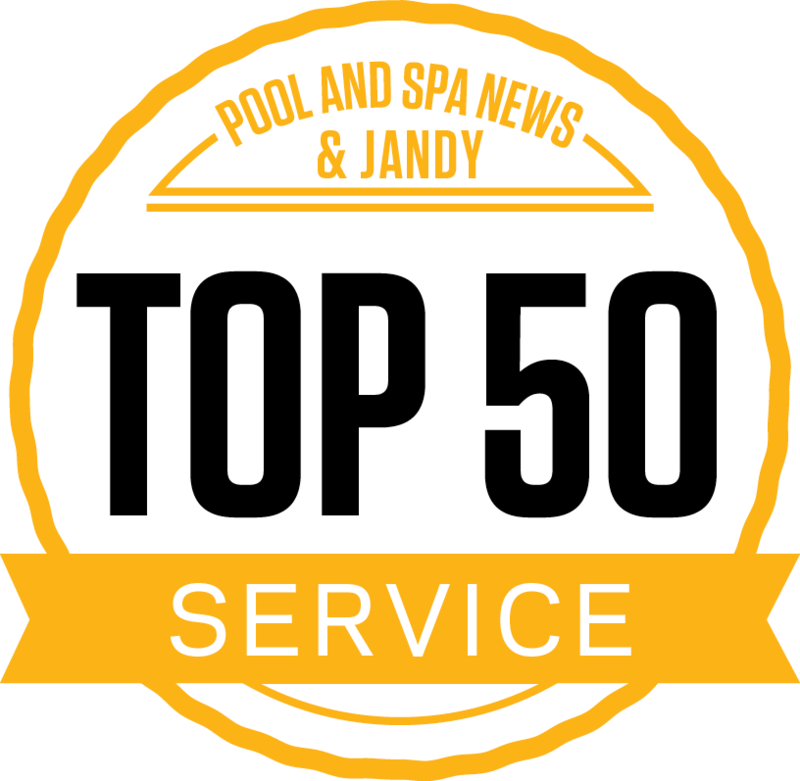 They also take longer to construct than many other pools, and some swimmers find the bottom quite rough on their feet if a smooth finish is not applied. If you’re installing a vinyl-liner pool, your construction team will install walls in the hole and then brace them. From there, the concrete footing is poured around the outside of the pool to keep the walls from shifting, and the plumbing is completed. At this point, the shape of your pool has already come together. Now your pool is ready for a base. This is the material that will sit between your vinyl liner and the ground. A base is often comprised of sand, cement, and water. The crew will use a trowel to make the base smooth. Any irregularities will show through the vinyl, so this step is critical. Once the base is dry, the vinyl liner is ready to be installed. The top of the liner snaps into a track at the top of the walls, and the crew uses a vacuum to remove air beneath the liner and smooth out any wrinkles or imperfections. Now your crew can cut holes for lights or other pool accessories and fill it with water. Vinyl-liner pools can be shaped into any configuration, are quite affordable, and are a great option for large pools. They often need to be repaired or refinished about once every 10 years. 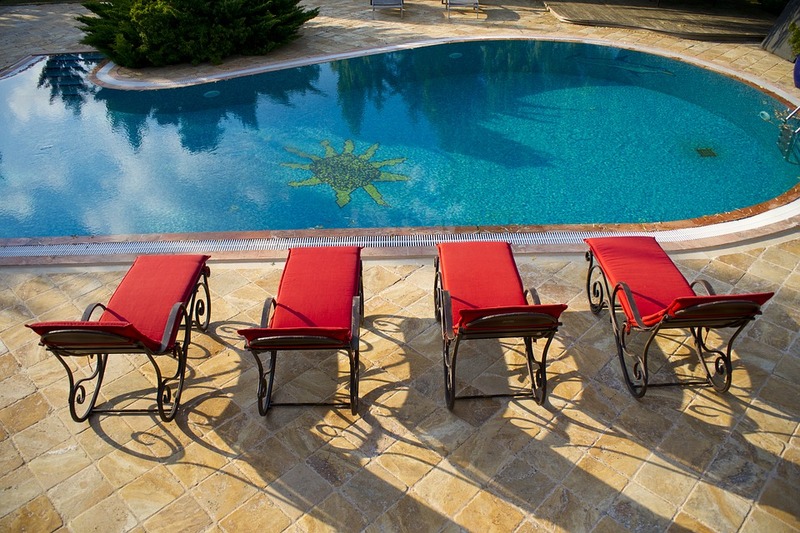 Have more questions about how pools are made of which type of swimming pool is right for you? 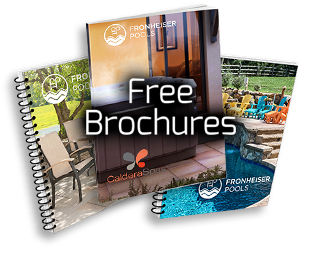 Turn to Fronheiser Pools in Sinking Spring and Bally, Pennsylvania for more information. Schedule Your Pool Opening Now! What's It Like to Work with a Pool Designer?